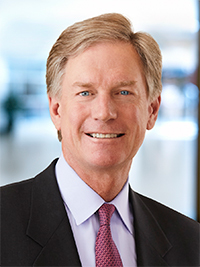 Milwaukee, April 1, 2019 – Hilliard Lyons and Hilliard Lyons Trust Company have become wholly owned subsidiaries of Baird, an employee-owned, international wealth management, asset management, investment banking/capital markets, and private equity firm with more than $200 billion in client assets. The transaction, which was announced in November, closed today. As a result, all of Hilliard Lyons' financial advisors and associates are now a part of Baird. Terms of the deal were not disclosed. Established in 1854, Hilliard Lyons is one of the nation's oldest financial services firms. Hilliard Lyons and Hilliard Lyons Trust Company are both headquartered in Louisville, Ky.Together they offer wealth manage­ment, trust and estate planning services, as well as select investment banking, municipal finance and asset management services. Both companies combined had over $50 billion in client assets as of Sept. 30, 2018, their fiscal year end, and 2018 revenue of more than $280 million. Baird, which was established in 1919 and is celebrating its 100th anniversary, had revenues of $1.78 billion in 2018, its ninth consecutive year of record results. The overwhelming majority of Hilliard advisors – representing nearly all of Hilliard's wealth management revenue – agreed to join Baird. As a result,Baird's wealth management business now encompasses approximately 1,300 financial advisors serving clients from over 170 offices in 34 states. "Today is a day to celebrate. To welcome Hilliard Lyons' associates and clients to the Baird family during our 100th anniversary year is a tremendous achievement that brings all of us great pride," said Steve Booth, Baird President & CEO. "We are excited to build on Hilliard Lyons' long legacy of exceptional client service and look to a very bright future as a unified firm." "As the past few months have confirmed, Baird is a great fit for our clients and the Hilliard Lyons team on every level," said Jim Allen, Chairman and CEO of Hilliard Lyons. "We couldn’t be more pleased to celebrate bringing our two great firms together." 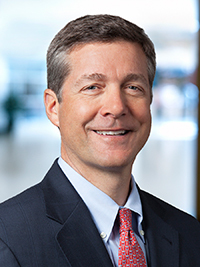 After the merger is completed in the second half of 2019, Allen will serve as a Vice Chairman of Baird and a member of Baird’s Executive Committee out of Louisville. "This is a defining moment for both Baird and Hilliard Lyons, as we join forces to accelerate our collective success and importantly, the success of our clients," said Paul Purcell, Chairman of Baird. 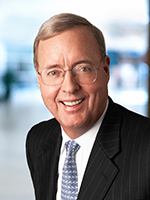 Hilliard Lyons' top leadership – Chairman & CEO Allen, President Tom Kessinger III, and Alan Newman, Executive Vice President and Director, Private Wealth – will continue in their roles, working closely with Baird’s Private Wealth Management (PWM) leadership team to ensure a smooth transition for the firm and its clients. "We welcome Jim, Tom, Alan and the entire Hilliard team to Baird," said Mike Schroeder, President of Baird Private Wealth Management. "We look forward to building on Hilliard's deep roots in the great community of Louisville as well as many other cities."